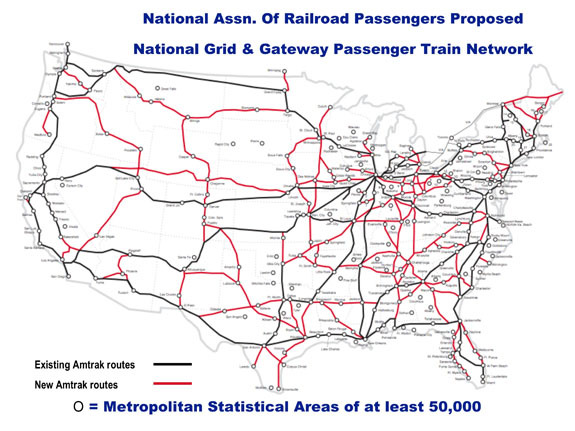 In June 2007, the National Association of Railroad Passengers (NARP) launched its Grid and Gateway vision for passenger rail development over the next 40 years. [Ref] While NARP's plan envisions an upgraded 45,000-mile network for intercity passenger trains, most of the routes match those on DOD's STRACNET system. 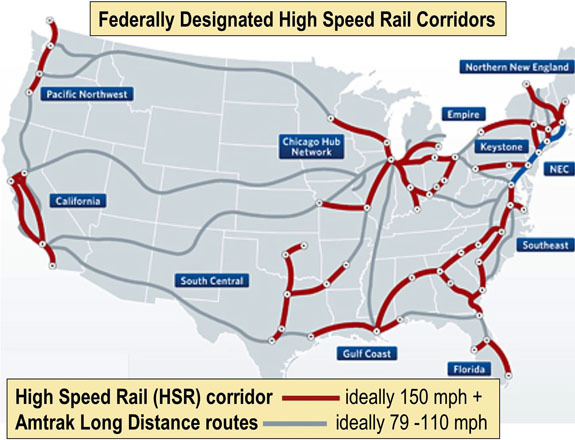 Much of the American Recovery and Reinvestment Act (ARRA) rail grants are being directed at these same corridors to bring their eventual top speed up to 110 MPH, which is defined as "Emerging High Speed Rail". 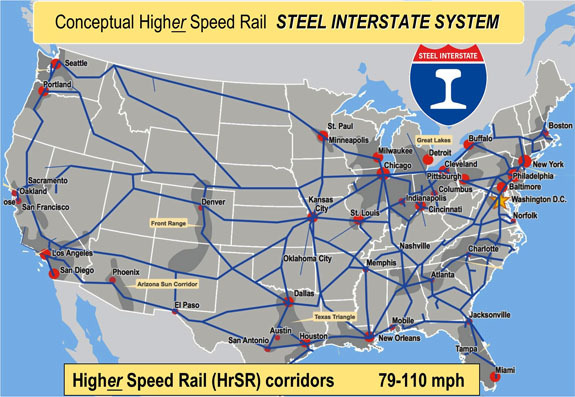 Routes used by Amtrak would be upgraded as portions of the higher speed rail (HrSR) Steel Interstate System and would feed the Federal Railroad Administration's designated High Speed Rail (HSR) Corridors. But remember, the SIS is primarily designed to serve the nation's freight transportation needs. How the concept addresses FREIGHT and PASSENGER services.